A 4 x 3 inch silver, gold and Ruby pectoral cross. Hand Made to commission. 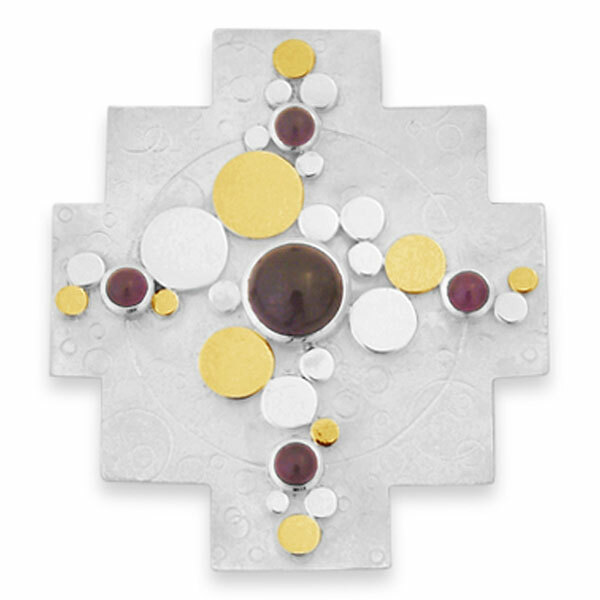 A matt finish chased silver background with polished disc gold and silver cross design and ruby cabochons.